Barista Raymond Sotto makes a dirty chai latte at Vagabond Coffee downtown. The Jacksonville Landing is set to be at least partly demolished under a settlement the City Council approved last week. As the city considers what’s next for the waterfront property, The Jaxson’s Mike Field wants us to think about this: Except for one parking garage, there hasn’t been any new, private construction on downtown Jacksonville’s Northbank in close to two decades. Josh Smith said the Barnett Bank building is his favorite Northbank development of the past 10 years. It was 2001 when the Adam's Mark Hotel — now the Hyatt Regency — opened, along with the Berkman Plaza condominiums (almost). Since then, Field said, the great transformation that’s been happening on the Northbank has been almost purely by reusing existing buildings. At lunch time on Tuesday, Raymond Sotto was making chai lattes at Vagabond Coffee, which recently opened its downtown location on the ground floor of an old building around the corner from Hemming Park. 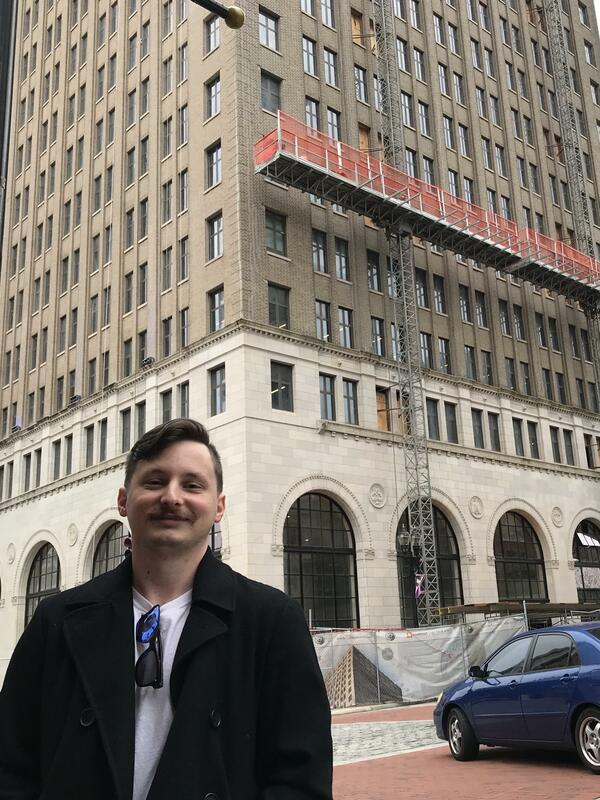 Sotto said he thinks downtown is perking up compared to a decade ago, but when tourists stop in and ask him for the must-see places of Jacksonville, he still points them outside the Northbank to Five Points or Springfield. Grabbing a coffee here after running errands, downtown resident Lindsey Erwin, 36, said she is pleasantly surprised to see the changes since she first lived in Jacksonville 15 years ago. Her favorite developments are all new businesses in old buildings: the Wolf & Cub shop; Marcus Lemonis Grill, or MLG, downstairs from Sweet Pete’s Candy; and Bellwether restaurant at the corner of Laura and Forsyth. Erwin was not happy to hear about the Landing’s fate. Mara Holmes said the updates to Hemming Park are her favorite development in the Northbank over the last decade. Mike Field said the city’s plan is to demolish the Landing by the end of the summer. Public input will be taken as part of whatever request for proposal the city puts forward. He noted the Chelsea Market's developers also successfully turned a very Landing-esque structure in Atlanta into the popular Ponce City Market. 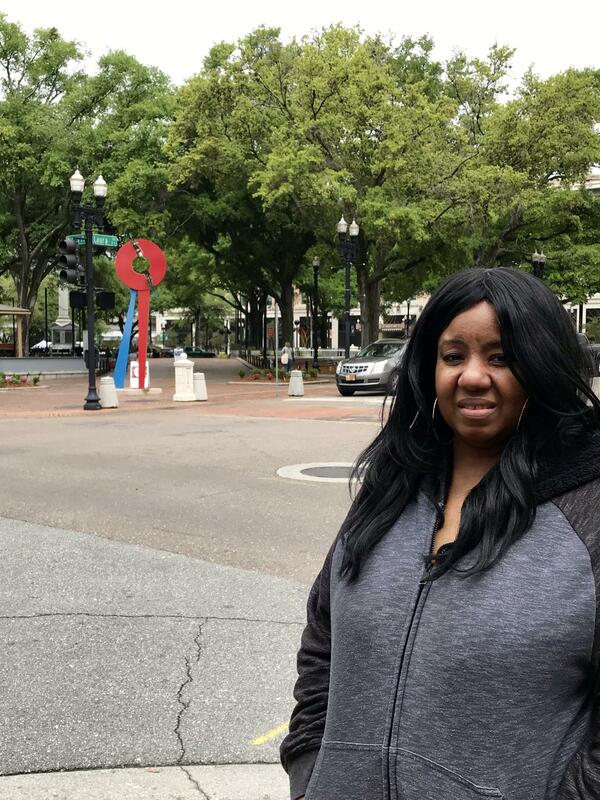 Walking near Hemming Park, lifelong Jacksonville resident Mara Holmes, 46, said she also doesn’t want the Landing to be knocked down. And at the corner of Laura and Adams, Josh Smith, 29, said he’s “torn” about the Landing because he’s "all about reusability." In an ideal world, he said, he’d like to see the Landing become a fish market or a farmer’s market. His favorite recent development: the old Barnett Bank Building, which now houses the UNF Center for Entrepreneurship & Innovation and will also house apartments and retail space. The University of North Florida has established a concept for higher education that’s intended to create new opportunities in Jacksonville. Sweet Pete's candy shop and the new MLG restaurant could open in two weeks at the historic 400 N. Hogan St. building Downtown.